What is the Difference Between Faux Stone Siding and Manufactured Stone Veneers? Want the stunning look of natural stone siding without the hefty price tag? Faux stone siding provides you with a budget-friendly alternative to create the same look. Approximately $5-10 per square foot cheaper than natural stone, this stone alternative can be cut to size and shaped to meet your distinct design needs. Even better, it comes in lightweight and easy to install panels, making installation quick and inexpensive. While exploring alternatives to natural stone, you may often hear faux stone and manufactured stone veneers used interchangeably. Although the look created by both can be similar, there is a difference. Faux stone siding comes in lightweight and durable panels which have a remarkably realistic rock look that comes from a unique coating which is chemically bonded with the molded surface of the panel. Unlike manufactured stone veneers, the molds which make faux stone panels, are cast from real stone and rock patterns. If you are interested in a DIY project, faux stone siding panels can be cut using common woodworking tools and are relatively simple to install. In addition to providing you with the stunning color and pattern options of more expensive natural stone, faux stone siding panels have other great benefits. Lightweight: Natural stone is very heavy and will require you to hire a professional contractor to manage and perform the complicated installation process, which will cost you even more money on top of the cost of the product. Additionally, the weight that natural stone puts on the foundation of your home can be damaging. You’ll need to have your home professionally assessed prior to investing in natural stone to make sure the structure of your home can withstand the added weight. On the contrary, faux stone siding weighs as little as one pound per square foot, making it easy for you to carry and install yourself, without adding any undue weight to the foundation of your home. Insulation: Faux stone’s polyurethane composition offers superior insulation when compared to other types of stone siding. The R-value, which is used in construction to measure thermal resistance, of faux stone siding helps prevent your home from losing heat in the winter and keeps the cool air inside during the summer. This level of insulation can help save you money on your monthly energy bills as heating and cooling your home your home accounts for the largest portion of your utility bills–approximately 54%. Impact resistant: Faux stone siding panels are constructed of high-density polyurethane, so not only are they heat resistant, but they’re also impact resistant. 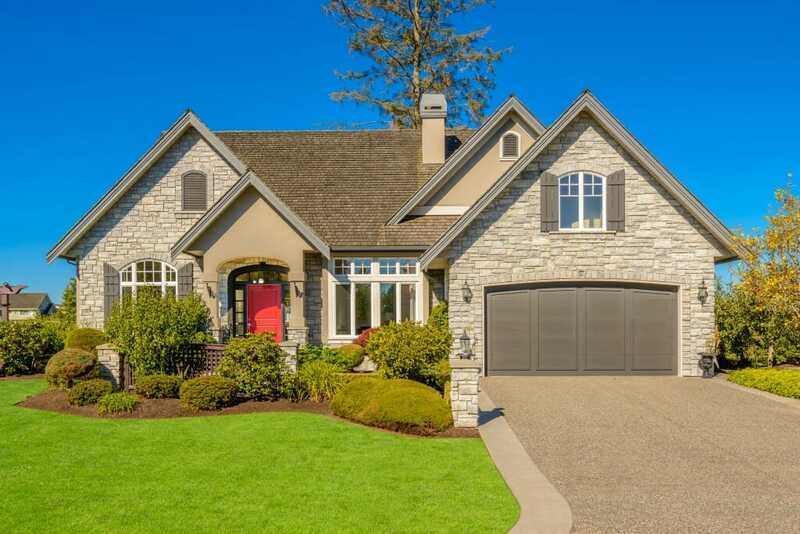 If you live in an area that tends to experience inclement weather like hail or high winds, you can rest assured that your home will be protected by your faux stone siding. Environmentally Friendly: Faux stone siding can also be recycled and reused over time. Faux stone siding is a strong siding choice, similar in many ways to the benefits and drawbacks that you’ll see with vinyl siding. In terms of drawbacks, they are really only “cons” when comparing faux stone siding directly with natural stone. For instance, compared to natural stone, faux stone siding has a limited lifespan–twenty-five years. This is not too shabby when it comes to the lifespan of other siding products like vinyl or wood, but in contrast, an investment in natural stone will last the lifetime of your home. Additionally, faux stone siding will never provide the same level of fire protection as natural stone. Faux stone siding is easy to clean and maintain. They are fairly resistant to moisture, mold, mildew, and most environmental conditions, but a simple rinse with your garden hose will remove any loose dirt or problem areas that may develop due to proximity to moist vegetation and lack of direct sunlight. Check your manufacturer’s recommendations as to not void your warranty, but you can also use a power washer at least once a year to get rid of any grime. If you have stubborn dirt, use a mild detergent with a soft bristle brush as to not scratch your faux stone siding. It is recommend that in terms of landscaping that you keep bushes, hedges, and flowers at least 6″ away from the stone paneling to prevent it from being hit by weed whackers and other landscaping hardware.